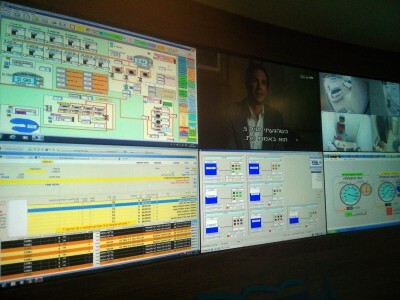 Control center of Process Operation is used for monitoring and control of process flow design, process history and analytics, operations excellence and production management. Advanced software solutions such as SCADA, enable such single integrated system seamless global access to data, alarms, alerts, interactive operator control messages and history across groups of systems. SCADA system enables users to make faster and smarter decisions to improve safety, reliability, efficiency and sustainability. Utilities such as Electric and Gas companies commonly have large network or process flows with various elements operating at different stages. 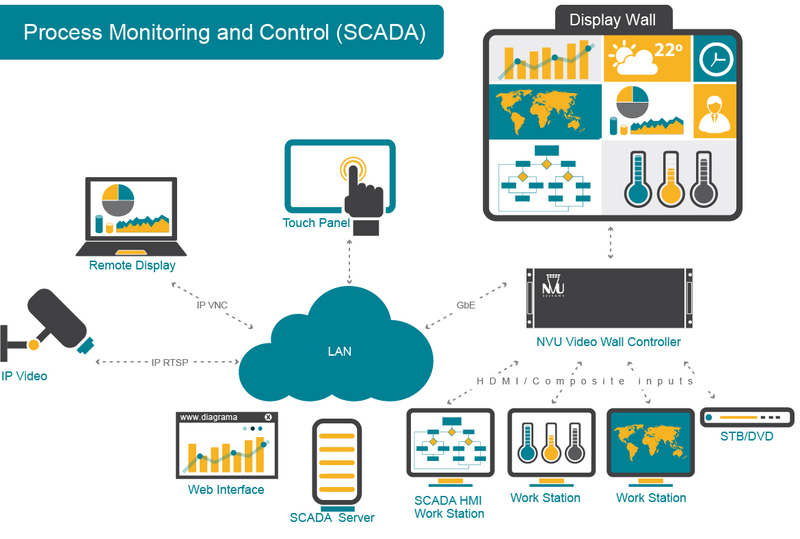 Scada based systems are typically used for elements monitoring & control. Video wall system is the ideal solution for integrating processes when there are multiple units, control rooms or geographically distributed locations. NVU processors enable such organizations to combine in their Control and Monitoring center a process flow or network views with addition of business applications, data analytics, or remote camera monitoring. Experience superior scalability, simplified management, and streamlined operations. Increase your flexibility and interoperability with multiple systems that are built on open visual standards. Do all of this with less risk and lower costs. Our portfolio of video wall controllers integrated with company’s infrastructure and service solutions, delivers consistent, highly secure, and reliable business results. With aNVU’s Video Wall processor, users experience a single, totally integrated system instead of several independent systems, while retaining the ability to autonomously manage each system. Deployment of NVU’s Video wall technology results in optimum functionality and flexibility with faster and more effective display navigation and operation.